When it comes to your retirement income planning, the numbers and minutia vary wildly from person to person. While it would be nice if there wasn’t any complexity in planning for retirement, the truth is that there are abundant factors that will have a bearing on your overall plan. Two people who have saved the exact amount of money can have a completely different retirement experience depending on the choices they make when they finally get there. At Kennedy Wealth Management, LLC, we are a team of financial advisors who have helped countless clients with their retirement income planning. We are deeply familiar with every last detail or factor that might affect your ultimate retirement income amount, and we want to help everyone make the smartest choices possible. Whether it’s maximizing social security, formulating an unimpeachable 401k strategy, or just being smart with your money and saving, we want to make sure you’re doing everything you can to ensure the bright future that you’ve worked so hard to achieve. One important part of this is understanding what implications your post-retirement decisions will have for your retirement income plan. If you’re really ambitious with the adventures you plan to have in old age, you’re going to need to save a little more. If you don’t anticipate being a big spender, that will also affect how much you’re putting away. And, of course, it’s important to be cognizant of “what-ifs” and hypothetical scenarios that you might not have thought of before. After all, a lot can change in the many years leading to your retirement, and you want to have all your bases covered. 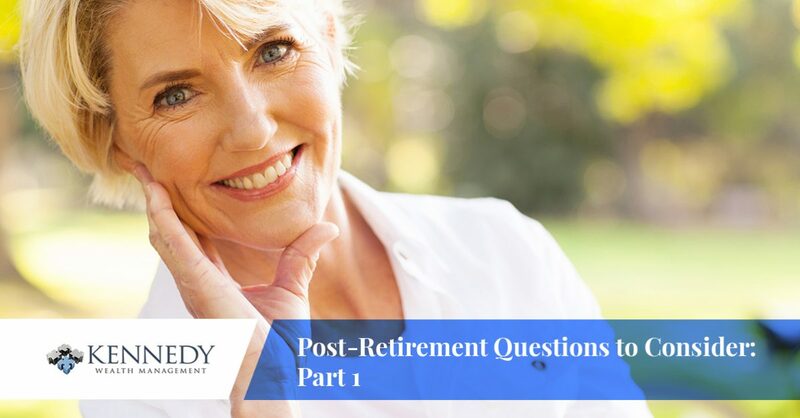 Here are some post-retirement questions you need to ask yourself as you form your retirement income plan. Am I Planning on Moving? This is one of the biggest decisions you can make after retirement, and one of the most common. There are all kinds of reasons to buy a new house in retirement. It might be because you’re looking to downsize now that your kids have moved out. It might be because you want a change of scenery. Maybe you want to get closer to family (or farther away). Either way, it’s a big decision and you should absolutely consider this in your planning. In reality, everybody should keep the prospect of moving to a new place as a hypothetical scenario in their planning. The only people who need not concern themselves with this are the ones that are absolutely sure, with firm resolution, that they’re never moving away from their current home. Some people have invested incredible amounts of money into their home with the intention of settling down permanently, and if that’s you, maybe you don’t have to worry as much. But for everyone else, the prospect of moving away should definitely be considered. This can affect your retirement savings in a few ways — do you plan on buying a much cheaper house and pocketing the profit, or would you want to move somewhere more interesting and exotic? In both scenarios, the amount of retirement income you’ll need is vastly different. With the former, you can expect a nice cash buffer in your elder years (though, to be clear, you should plan for worst-case scenarios), and with the latter, you know from the onset that you’ll have to save more. It’s up to you, but regardless of what you want, it would be folly to not think about the possibility of relocating. Finally, it’s good to think long and hard about what kind of life you want to live in retirement. It goes without saying that certain lifestyles are more expensive than others. Do you have an insatiable passion for rock music that will never ever die? You’ll have all the time in the world to go to as many concerts as you want — you can go crazy if you save for that in your retirement income. The same goes for just about any other hobby that has significant expenses; you’ll have more time than you’ve ever had to just do the things you love, but it’s not going to happen if you don’t account for that in your financial planning. It’s always best to err on the side of abundance. If you see yourself spending a certain amount of money each year, plan to spend more. So think about your life — do you want to eat out at least five times a week? Hey, it’s your life, go for it. But don’t plan for that, plan as if it will be something you do every single day. It’s better to be safe than sorry, and at the end, it will be worth it. The time is now to start planning your retirement, and it’s not easy to do alone. If you’re in or around the Calabasas area, stop by Kennedy Wealth Management, LLC to get quality financial advice from experienced financial planners. We’ll help you with your 401k strategy, social security, and other forms of retirement income planning. Contact us today to get started!